My favorite thing about living in a new city is the excuse to play tourist whenever a free weekend comes up. 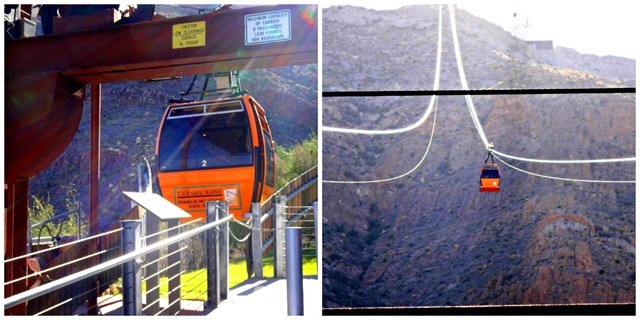 I’ve been eyeing the Wyler Aerial TramWay since we got here in El Paso and was super excited when J. Alabama agreed to check it out with me. 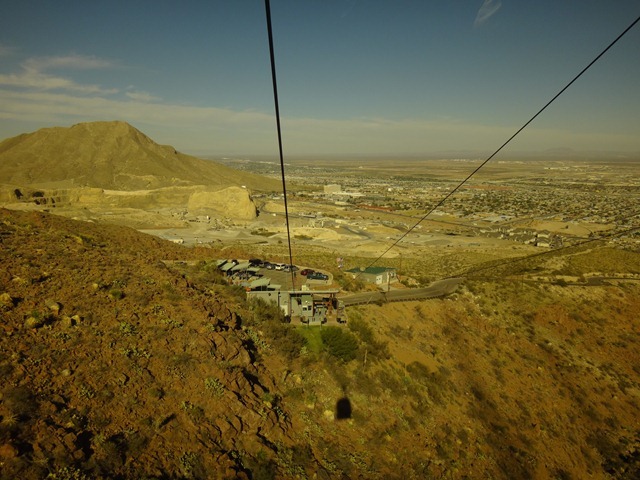 The Wyler Aerial TramWay is an aerial cable car that is situated over the Franklin mountains. 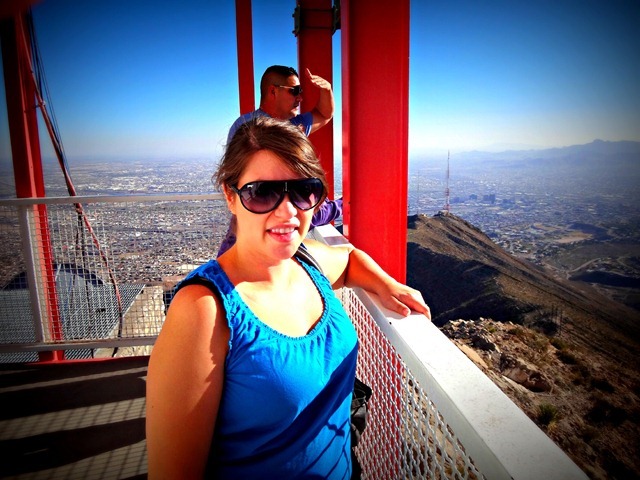 For $7.00 each we were able to hop aboard the cable car and take a trip to the top of the mountains and check out the glorious views of El Paso. The idea sounded awesome, but the closer we got to entering the small cable car the more nervous I got. 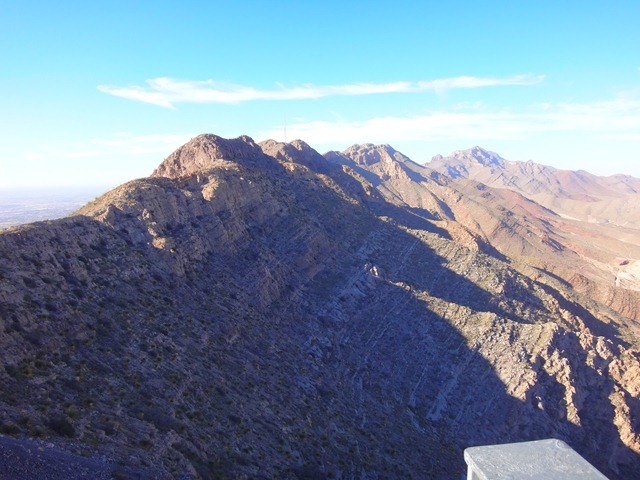 Lucky for me the ride up was a short 4 minutes and the spectacular views managed to distract me from the fact that we were dangling above the rocky mountain terrain below us. It was cool to look out to the city beyond as we were being lifted higher and higher by the cable car. Once we reached top we were able to look out onto both sides of the mountains. So cool to be on the tip top of the city looking out onto either side. We checked out the little gift shop and then continued around the side of the building until we saw a little gate leading down the side of the mountain. 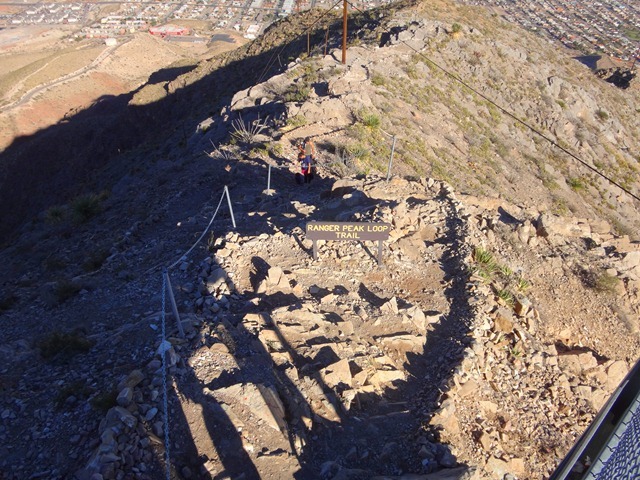 There we saw a small rocky and somewhat steep hiking trail! I so wished we had dressed for a hike and packed a water & snacks, as we would have been all over that trail. This hike is definitely on our tourist list for the future. After awhile we decided to head back down. The cable car ride was smooth and and less nerve wracking the second time. 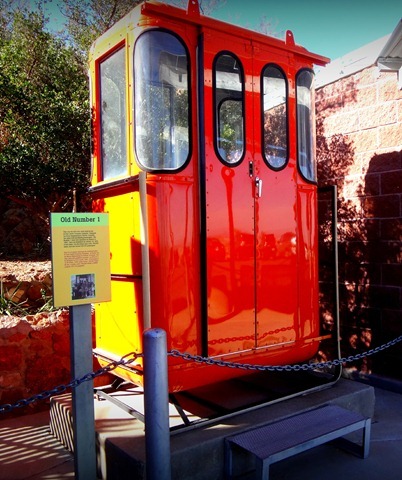 Upon our arrival at the bottom we spotted an older version of the cable car in front of the ticket window. It was so much smaller than the ones that are running these days. All and all it was a fun and quick little outing! I would highly recommend this excursion to anyone visiting the area. But totally suggest to bring your hiking shoes so you can fully take advantage of the trip up the mountain. I’m starting to really enjoy Texas. I really had my doubts at first, but as anywhere else, it is what you make of it. And I’m choosing to make the most of El Paso! 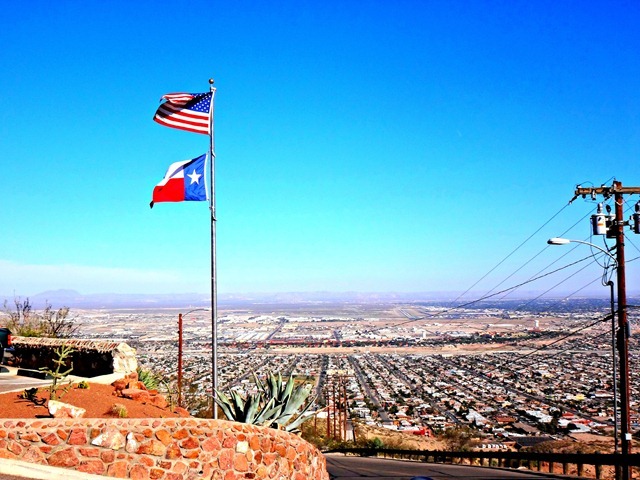 This entry was posted in El Paso by The Linz. Bookmark the permalink. This looks like tons of fun! I absolutely love Texas. They bedazzle everything! LOL. Glad you are making the most of it!! So happy you are loving it there! I bet your adventurous spirit really helps! I do hope you get to hike that trail! It looks fun! 🙂 And $7 is awesome for a fun afternoon of entertainment. 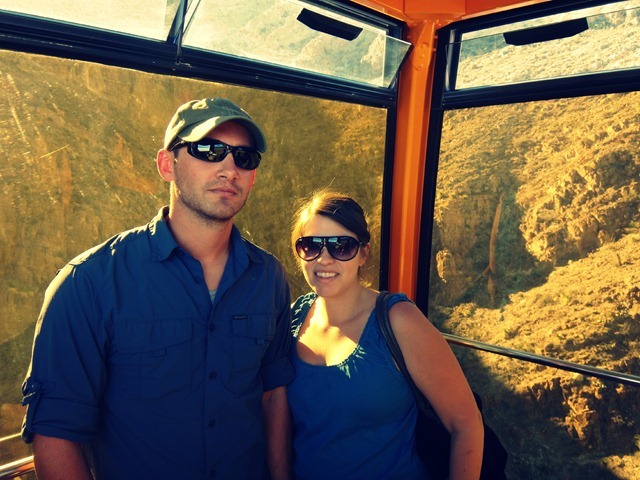 I think cable cars are so cool! I totally thought of you when I wrote this post! 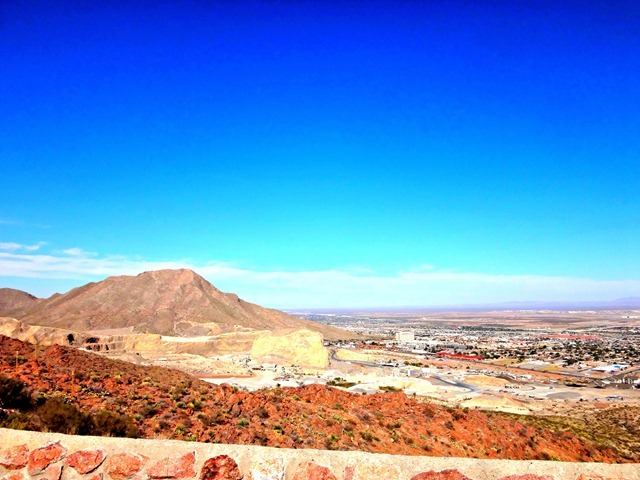 I will hopefully have other “must do in El Paso things” for you by the time you get here! And I’ll save some for us to do together!! 🙂 YAY! Sounds like a fun trip Linzi. I don’t like cable cars because I’m a bit afraid of heights. The last time we were in Italy I let R. go up alone in the cable car because I had already been in it a couple of years before and didn’t like it back then. SO cool!! I know I would love to do that sort of thing!